NEW! Will the LDS Church overturn the ban on hot drinks? Bruce McConkie: Respected Authority or Theological Hack? The LDS Church published a series of essays between 2013-2015 that attempted to clarify some teachings, including those that were controversial. MRM covers these essays with articles and podcasts. Though our site is not officially covering the Watchtower Society and Jehovah’s Witnesses, we do have an article with dozens of links to help you on this topic. Bill McKeever and Eric Johnson have written books that will help you better understand Mormon doctrine, as what is taught by the Salt Lake City leaders. 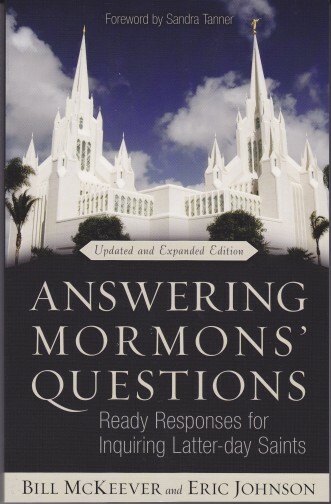 Emphasizing standard works material along with official church manuals and general conference talks, these books will help better prepare you for dialoguing with your LDS friends and family members.